WORLD SUPERBIKES RETURN TO DONINGTON PARK - YOU WOULD BE AN APRIL FOOL TO MISS IT! 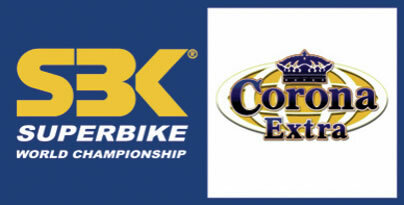 The hotly contested SBK World Superbike Championship returns to Donington Park from 30 March to 1 April 2007, for the first time since 2001. Kick-starting Donington Park’s 2007 international race calendar, this year also celebrates the twentieth anniversary of the championship’s first appearance at the East Midlands circuit. The Donington race is the first of three British rounds and the grid will be packed full of two-wheeled talent from over nine countries. UK hopes will be with British riders James Toseland and Dean Ellison; Toseland no doubt keen to repeat his 2004 World Superbike Championship victory, and Dean Ellison starting his first year in the international championship. Another name to watch out for this year will be Max Biaggi, fresh from MotoGP and keen to make his mark in his World Superbike debut year. "Having World Superbikes back at Donington is a fantastic way to start our international racing calendar" said Brian Pallett, Donington Park’s Managing Director. "The last time they were here was in 2001 and the races were won by Neil Hodgson and Pierfrancesco Chili". "British biking fans are legendary and will no doubt pull out all the stops, create a fantastic raceday atmosphere and give a great deal of support to both James and Dean. The fact that race day is on 1st April means you really would be a fool to miss it!" Please note advance ticket deadline is Thursday 29th March via cash sale only at the Donington Park Circuit office. A range of tickets are available directly from Donington Park including full weekend, Saturday qualifying, Sunday raceday and campsite passes. For further information go to www.donington-park.co.uk, or call 01332 819527.